The true story of a well-to-do miller who fell to the level of a pauper and was buried in an unmarked grave. The true story of a well-to-do miller who fell to the level of a pauper and was buried in an unmarked grave is thronged with a lost world of farmers, auctioneers, innkeepers, wine merchants and smugglers who mingled in the borderlands of Sussex, Surrey and Hampshire in the Victorian age and beyond  Chichester, Petersfield, Bedhampton, Leigh, Harting, Chiddingfold, Dunsfold, Wisborough Green, Barford, Headley. Colworth and Oving. David Johnston is and architectural and countryside photographer based in Sussex. 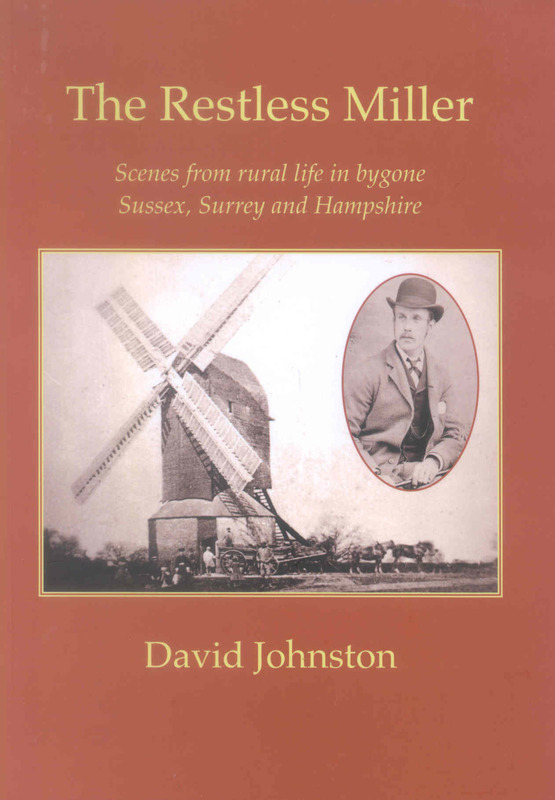 Over the past 25 years he has built up an archive of more than 10.000 photographs of the Sussex countryside, many of which have been published in national and local magazines and newspapers.